Home Lifestyle Home Garden & Tools What is a home warranty service, and what should you consider when buying a new home? What is a home warranty service, and what should you consider when buying a new home? What should you consider when buying a new home? Moving home is one of the most significant decisions you and your family can take, and for that reason, it’s essential to get it right. If you’re buying a home instead of just renting one, then the pressure to ensure it all goes smoothly is even higher. Luckily, there are many steps you can take to ensure that the move goes smoothly. By doing everything from finding the correct home warranty service to choosing a location that’s perfect for you and your family, there’s no reason why things won’t go well. In this article, we’ll share our top tips on how to make sure your move to a new home goes as well as it possibly can. When it comes to making up your mind about where to live, there’s little that’s more important than location. After all, there’s no point deciding to live in a place where you know you won’t be happy. Whether it’s a whole new state or merely a location a few streets away, there’s a lot to be said for choosing a place where you’ll feel happy and safe when you come home in the evening. Visiting the potential new area and exploring it is a great idea. Go inside the shops and order something at a local cafe or restaurant to get a feel for how the area runs, and make sure you look at the map to check that the local facilities you need are located nearby. Whether this is a swimming pool for exercise or a bar to chill out in, it’s vital you do your research. If you have children in tow when you move, it’s essential that you find out where your kids would be educated if you made a move. If you’re planning to send them to a public school, you should get in touch with the local school district to find out what options are available. Although in the midst of the excitement about moving you might not want to think about the problems that can come with owning a property, it’s a good idea to face up to the reality. None of us ever knows just what is around the next corner, and that’s why it’s a good idea to accept that problems can come up – and that, if you own the property, you’ll need to be responsible for resolving any issues that do arise. But just what is a home warranty service, and why is checking your homeowners’ policy to see if you’re covered a good idea? Essentially, this insurance-based system gives you a chance to pay to protect yourself. If something goes wrong with one of the features of your home or some of the appliances installed there, the system can pay out to help you get it sorted. Although the exact list can vary from policy to policy, all sorts of common appliances, such as ovens and waste disposal systems can be covered. For many people who are buying a new home, the last thing they want to think about is selling it further down the line. But it’s a good idea to be prudent about it because you want to ensure that your home is still desirable in 10 or 20 years’ time so that it sells for an equal – or ideally higher – price than what you paid for it. Some of the considerations you’ll need to take into account for this involve factors about the property that won’t ever change, such as the area in which it is located. Are there any new developments in the field, for example, that will make the value of the property go up? But this decision is also about potential. 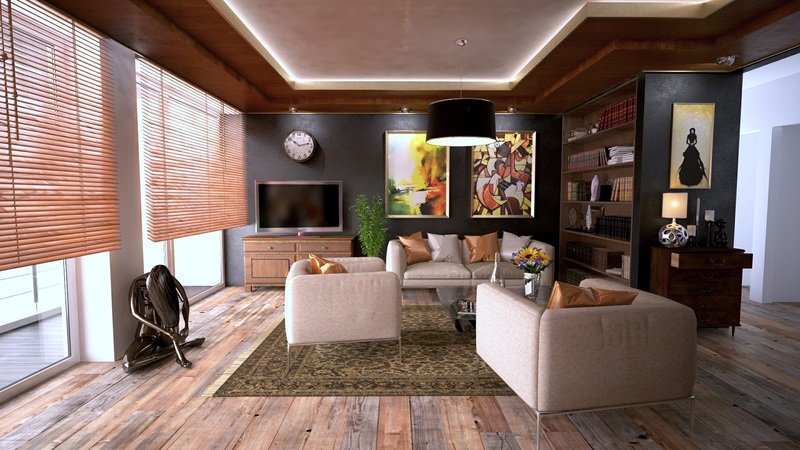 While of course, you’ll never be able to change the neighborhood of a home that’s already built, you will be able to decorate it in a modern style or renovate unused rooms, perhaps converting lofts into extra bedrooms or living spaces. When looking around, keep an eye out for any changes you could make to boost your new home’s value while you live there. Ultimately, it’s clear that there are many things to be taken into account before you commit yourself to a big decision such as buying a new home in which to live. Whether it’s assessing the potential for profit in the future or merely ensuring you live where you want to, you have a lot to consider. By following our tips, you can get your priorities straight and ensure that the process of finding a new home is as stress-free as possible. 10 Major Advantages of Life Insurance You Never Knew About. How to make money online, from the comfort of your home?